Da Nang is the third biggest city in Vietnam and is recognised as the tourist capital of South Central Vietnam. You can’t talk about Danang tourism without talking about the Beautiful Han River and its famous bridges, and the charming beach which has been voted as one of the six most attractive beaches on the planet by American Business Magazine Forbes. Besides enjoying the heavenly beach and crystal-clear water, if you are interested in history and culture, you can start The World Heritage Road of Central Vietnam. On this special trip, you will sightsee three UNESCO – designated World Cultural Heritage Sites in Central Vietnam: Hoi An Ancient Town – the exceptionally well-preserved example of a South-East Asian trading port dating from the 15th to the 19th century; My Son Sanctuary Site – the great sample of the ancient Champa civilization located in the southern part of Vietnam from 2nd to 17th century, tombs of the Nguyen Dynasty’s kings and the Ancient Imperial City of Hue. BRG Da Nang Golf Resort (Danang Golf Club) is the founding member of Golf Coast Vietnam, in the five years since the first golf course was built in Danang, the Central Coast is one of Asia’s top golf destinations. More than 250,000 rounds have been played there since september 2009 and nearly 100,000 rounds now being played on an annual basis. 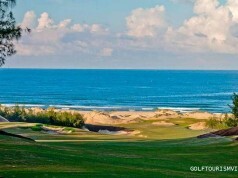 BRG Da Nang Golf Resort (Da Nang Golf Club) is designed by Australian golf legend and former world No. 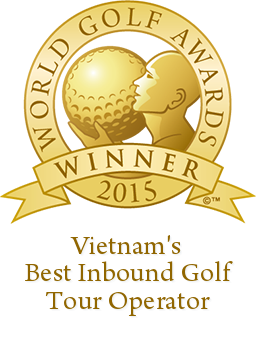 1 Greg Norman who are today recognized as the premier signature golf course designer and architect in the world. Sitting on coastal sand dune topography of Danang Beach, this picturesque and challenging championship layout was artfully redesigned to work in harmony with the natural seaside beauty. The piece of land is perfect for golf with a sand base and plenty of undulations and the layout takes great advantage of these. Its chief feature is a 7,160-yard, 18-hole, links-style layout that was designed to capture the true spirit of the game— blown-out bunkers, firm and fast fairways that make the golfers need to be very wary of running into bunkers, rugged waste areas, swales and hollows. The course affords the player the opportunity to stride-out in a place which can fuel your mind, body and soul with the constant, cool and refreshing “sea breeze” that comes right off the ocean adding more challenges to the game, which is quite difficult to keep your eye on the ball as it wanders eagerly fifty miles out to sea. Each has an abundance of bold bunkering, but again Norman provided many run-up approaches for the players who struggle to carry the ball. 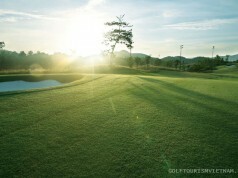 Completing each hole, the putting surfaces are as splendid as you will experience anywhere. They are testing, but not over-contoured. With tee lengths ranging from 5,564 to 7,160 yards, it’s a course golfers can play again and again and still find exciting because there are so many looks and different types of shots that can be played. 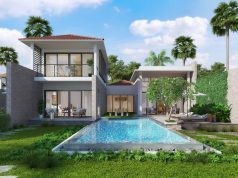 The championship course is part of a luxury resort development, the Danang Beach Resort, that will include a 5-star hotel with 270 rooms and 196 villas offering a panoramic view of the mountains, beach and serene golf courses. A convention and exhibition centre and recreational marina will be located alongside a second hotel. 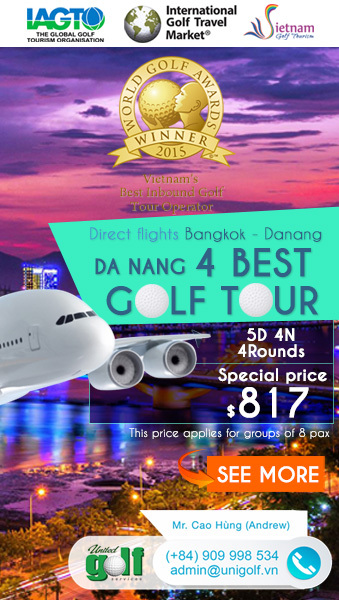 Keyword: BRG Da Nang Golf Resort, da nang golf, da nang golf course, da nang golf club.